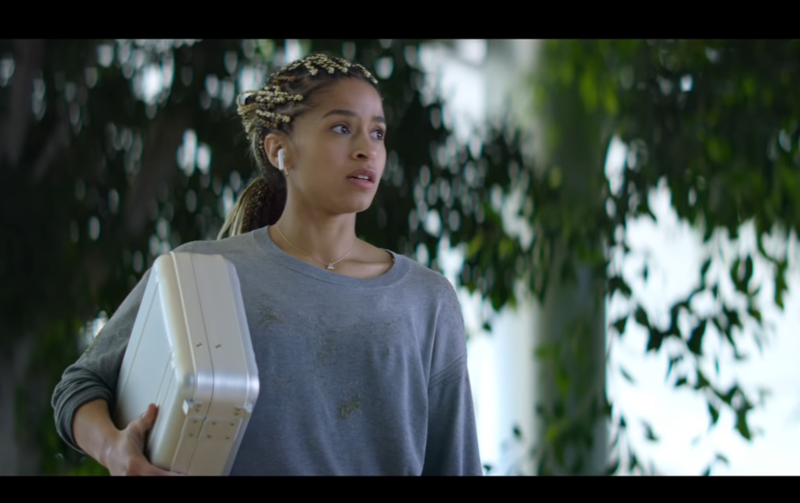 How Long Was the Girl Took in Apple Park "Impossible Mission"? 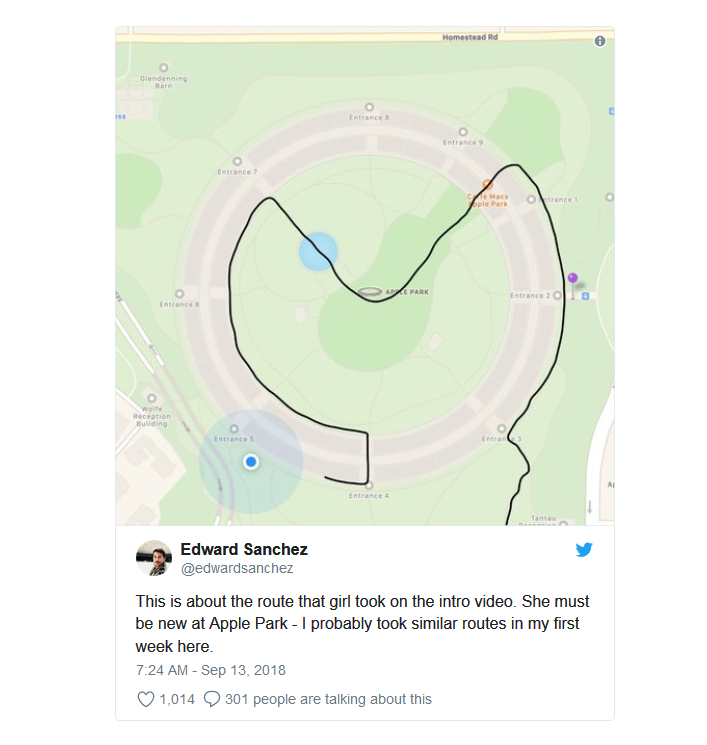 Despite starting near the south entrance of the main ring — a relatively short distance from the Steve Jobs Theater — the woman instead appears to have gone northwest, Edward Sanchez noted on Twitter. Even after running across a pond in the right direction, she needlessly veered off again through Caffe Macs before getting on the right track.